Greetings from sunny Marco Island, Florida! First let me thank you for visiting my website on real estate and lifestyle information here on our tropical island. I am proud to tell you that I am a real estate broker/salesman who takes pride in my professionalism and honesty when it pertains to my clients. There is no "team" effort when you deal with me. I work on a "one-to-one" basis, will listen to all your needs, will find you the best property for you and your family, and will continue to assist you well after the sale. 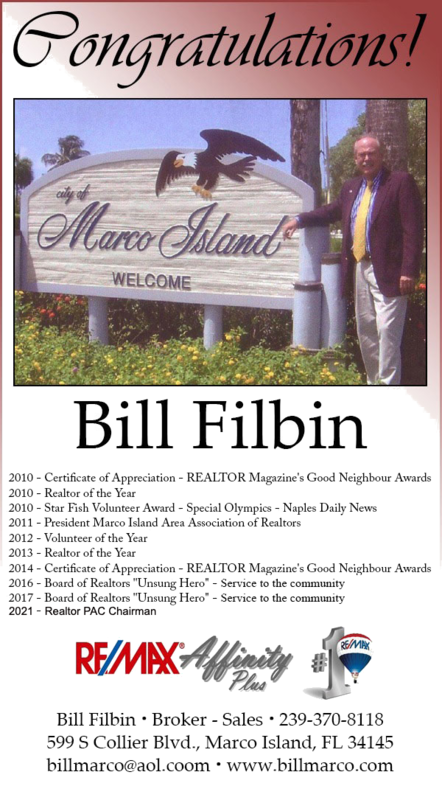 As a full-time resident and Realtor® I am truly a Marco "Islander" that you will be happy to call your friend. Please take some time to explore my site, and don't hesitate to contact me with any questions or comments.